I wanted to copy a post, but something went wrong. My computer or platform could not copy the post. I did not attempt to revive the computer. However, I found a winter scene painted by Aleksey Savrasov. Aleksey Savrasov was Isaac Levitan‘ teacher. 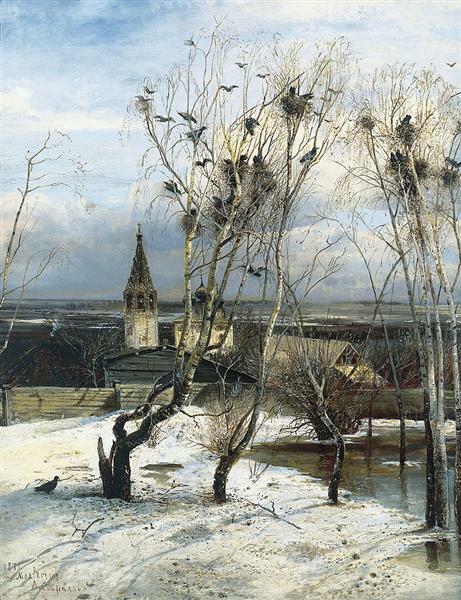 Savrasov created the lyrical landscape and Levitan, the mood landscape. The terms are interchangeable. Both joined the Peredvizhniki group, but Levitan did so later than Savrasov. The group was superseded by Mir iskusstva, a movement, but later a magazine, whose chief editor was Sergei Diagnilev, of the future Ballets Russes. The post I wanted to publish a second time was Salve Regina: the Season’s Antiphon, published on 3 August 2017. I lost my voice on 11 December. I phoned my doctor, whispering. He asked that I visit him at the clinic. When I phoned, whispering, he diagnosed sinusitis. He was busy. The pharmacy sent a nose cleaning kit. It was and remains bronchitis. The pharmacy will send medication this afternoon. The video is a short piece, but very moving. I am very fond of liturgical music. 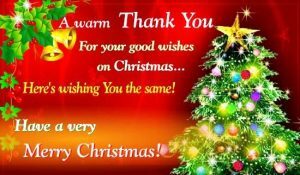 My best wishes to all of you. May this be your finest Christmas or holidays ever. Beautiful music. Such voices and music are very healing. I hope you will greet the New Year in improved health. Most medical professionals I have met are doing their best in difficult circumstances in under resourced medical facilities. Our societies and our policy makers need to put human needs, not business needs, as priorities. Amanda, it is so uplifting. It makes life easier. Fortunately, I’m not in any pain, but I stopped speaking on December 11th and have yet to recover my voice. My doctor had told me to drop in if my voice did not return, but suddenly he didn’t have time for me. He downgraded bronchitis into sinusitis and gave strict instructions to the pharmacist. I was not to be medicated unless I got sick. The pharmacist filled the prescription a few days ago, but is this the right medication? There was no need for this. Human beings do not count. I erased my comment so no doctor would feel hurt. Doctors let my brother die. He saw two specialists who did not even send him for a urine test. My friend John may not be able to see a specialist for another three years. He suffers from Ménière’s disease, but the doctor has so many patients, etc. He will not have been treated for approximately six years. No, a doctor does do not make a diagnosis without seeing a patient and does not downgrade bronchitis into sinusitis so he or she has a restful holiday and go to various dinners and soirées. Yes, doctors need to hear the truth. Take care. I agree. These things are totally unacceptable – and indefensible. I am sorry for your current health trouble, your friend’s problem with finding treatment for Ménière’s, and the sorrow from your brother’s delayed diagnosis. ….well, I must be quiet, because my thoughts are far from polite. Few topics make me as angry as poor patient care. Feel free to erase my comment also if you think my words might be too direct on a sensitive topic. (I would never want to cause any problem for you.) Maybe someday I will start another blog to talk about these problems – perhaps telling our stories without our real names….I have a feeling we would find many others for company, unfortunately. I apologize for the delay. I was writing letters. No, I will not erase your comment and mine was reiterated. Starting another blog would be a good idea, provided it does not make you suffer. Using other names would help. We would find many others for company. There are so many stories. I must go, but we will stay in touch. Take care of yourself. Isn’t the music beautiful and the choir, one of the best? Happy Christmas Derrick.